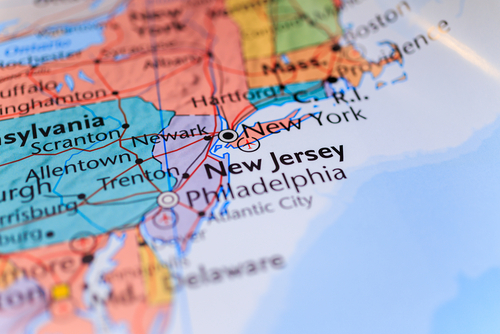 In New Jersey, there are three main levels of EMT careers. There are Basic EMTs (EMT-B), Advanced EMTS (AEMT) and Paramedics. Each level is able to carry out increasingly more medical procedures in the field. 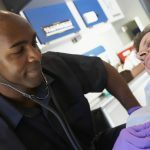 Training as an EMT-B is a good starting point for a career in EMS and in fact, most higher level EMT courses require you to already have your EMT-B license before enrolling. Would a Career as an EMT in New Jersey be Good for Me? At the end of the day, only you can answer that but there are things to consider. You may want to consider a career as an EMT if you wish to work in the medical field and specifically in emergency medicine. Most EMT training programs last from a few months to 2 years allowing you to being your new career in a short period of time. To work as an EMT you will need to be someone who does not mind working in difficult conditions and environments. It will be necessary to think fast in tough situations. An EMT needs to be at least 18 years old with a high school diploma. You should have a valid driver’s license. You need to have a good ability to communicate with others. You should have a good level of physical fitness and good health. Your job will require you to stay up to date on vaccinations. A career as an EMT is not an easy one. You will work hard and in some very stressful circumstances. But the career can be rewarding as you will have the opportunity to save lives and help people at some of the scariest points in their lives. What Sort of EMT Programs are Available in New Jersey? Your training will depend on the level of EMT training you are seeking. Various skills will be taught through both classroom instruction and clinical training. Every level of EMT will be trained to provide CPR and other forms of basic but life saving first aid. AEMTs and Paramedics will learn more in depth life support procedures to help a patient until they are transported to the nearest hospital. Here are some of the areas of study you will cover dependent on your training program and your intended EMT level. As mentioned,all EMTs will receive CPR and basic first aid training. You will learn to assist individuals who are very sick or ill. EMTs will learn how to help individuals with diabetes, people who are experiencing broken bones, soft tissue damage and blood loss. You will learn about how to provide some prehospital cardiac or respiratory care when needed. Depending on your level of training, you may learn more advanced cardiac and airway management and care. Paramedics (and in some case AEMTs) will learn to administer approved medicines including those given by IV. Training will teach EMTs the legalities and the ethics of working in emergency medical services. Students will also learn how to protect the privacy of patients and how to help them maintain dignity at all times. You will practice good communication skills. You will learn about good medical charting procedures. If you will be driving an emergency vehicle, you will learn all necessary operations of the vehicle and how to safely navigate the highways. There are many EMT Programs within the state of New Jersey. It should not be too difficult to find one that is not far from where you are already living. Rowan College at Burlington County: This college offers three main EMT training tracks for men and women who wish to work as emergency medical technicians. EMT Certificate Program: This is a 268 hour training course and students are eligible to receive 8 college credits upon completion. Students train to be an EMT through classroom instruction. They also receive hands on training at local hospitals gaining clinical experience. In addition, they will do some ride alongs and observation with local ambulances.They will learn the most basic level of emergency services and can build upon this by enrolling in higher level training courses. Paramedic Science Certificate Program: This is for people who have already completed an EMT program and wish to advance their career and training. Once again students will gain experience in the classroom, hospitals and in the field. This will include training on mobile intensive care units, learning to provide advanced pre-hospital care. Students learn about more life saving measures. Paramedic Associate Degree: This program will take 2 years or more to complete. This depends on the credits a student can take per semester. Students will receive all the training provided in the Paramedic Certificate Program. However, they will also complete various other general education and elective requirements to obtain their Associate’s Degree. Tuition and Fees: In County Residents pay about $475.50 for every 3 credit hours. Out of County residents pay about $523.50 for every 3 credit hours. Out of state residents can expect to pay about $718.50 for every 3 credit hours. School Type and Setting: This is a leading community college that also partners with Rowan University to help students seeking 4 year degrees. Jersey City Medical Center: The Jersey city medical center provides excellent healthcare to the community. They also offer an EMT training program. EMT Course. This program provides extensive training for individuals wishing to become EMTs. The course provides the classroom background as well as the hands on field training. Students learn a great deal of pre-hospital care. This includes treating trauma and blood loss. The program teaches individuals to provide both cardiac and respiratory care. Tuition and Fees: The website simply states that tuition amounts will change each year. Some students will qualify for programs that cover tuition. School Setting: This is a hospital that also has medical training programs. Atlantic Cape Community College: They offer a state approved EMT training course for students who are at least 18 years of age and who can receive the necessary reading test score prior to entry into the program. The course covers 230 hours of instruction. Students will learn through reading materials and lectures. They will also have case presentations and simulations. And lastly, they will receive some hands on experience to prepare to work as an EMT. Students will learn how to provide basic pre-hospital care to individauls with a variety of different types of injuries and illnesses. The course will also teach students to use all equipment they will utlize as an EMT and will gain computer skills as well. Tuition and Fees: This course was last listed at $1895 This is to include all costs related to the program. College Type: This is a community college serving students who wish to obtain carer training or two year degrees. Do I need to be an EMT before becoming a Paramedic? You need to have basic level training before you can become a paramedic. Some programs require you to already have your EMT license, while others will provide EMT training during the beginning sessions of your Paramedic Training. Do you need continuing education to maintain your EMT Licensing? There will be CEU requirements that you must meet on a regular basis in order to be able to continue working as an EMT or Paramedic. What is the job Outlook for New Jersey Paramedics? There are usually quite a few employment options for Paramedics. They can be employed by ambulance services, hospitals and in the private sector. There will always be the need for individuals who can provide this emergency care. Paramedics can earn a moderate income and receive other benefits depending on their employer. Does it take long to become a Paramedic? Some paramedic programs will take two years. These are usually for a degree based option. That being said some programs are one year or less. The paramedic programs are more intensive and cover more materials than other EMT training levels.